J Macklin’s Grill, Coppell’s local watering hole, offers a grill-centric menu stocked with mouth-watering options. Chef Scott Hoffner adds a thoughtfully unique twist to everything from salads to burgers to seafood, but the restaurant receives the most praise for its Dr. Pepper braised short ribs and chicken and waffles. The stylish dining area, laid-back bar, and casual patio are ideal for enjoying any of their flavorful dishes with a cold OHB. The staff is attentive and friendly and sure to make your dining experience a comfortable one. You’ll find great daily specials and happy hour offers, and every Tuesday Texas pints are $5 all day! 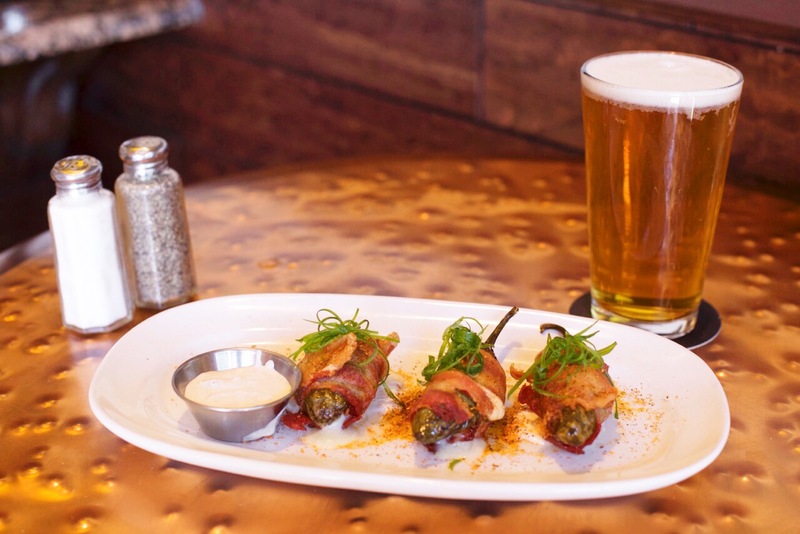 Here’s what we recommend for an appetizer: The Cajun Kiss (shrimp & jack stuffed jalapenos wrapped in bacon, horseradish cream) paired with OHB Freaky Deaky. 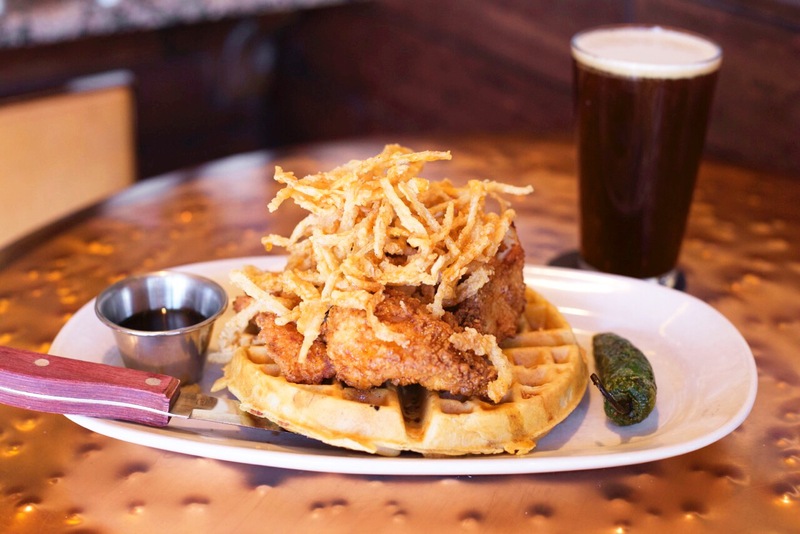 Here’s what we recommend for an entree: The Chicken and Waffles (bacon-gouda waffle, tobacco onions, spicy honey-butter, maple syrup) paired with OHB DFDub. 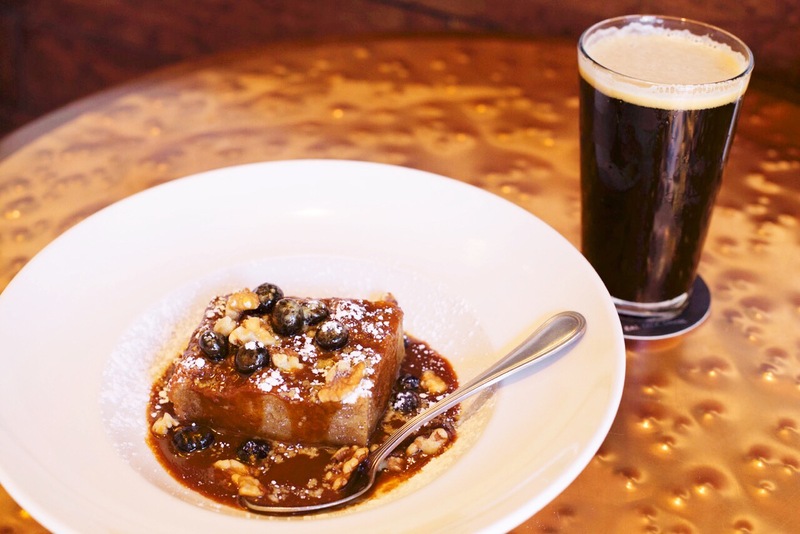 Here’s what we recommend for dessert: Amaretto Bread Pudding with OHB Vanilla Porter.